Published December 4, 2018 by Jovana R.
Lately it seems a lot of girls have started a quest for their perfect gel-like cosmetic formula. Whether it’s a daily gel-like face cream or pure aloe vera gel. Heard about snail slime? Yup. Of course, there is a good reason why everyone is looking forward to smear some of that gooey, jiggly, yucky things on their faces. Gel moisturizers are very good for your skin. These gels are light, non-greasy, non-comedogenic and you practically can’t even feel them on your skin. Skin absorbs them well. They are amazing hydrators that provide your skin with moisture, vitamins and antioxidants. And they are suitable for all skin types (although, if you have dry skin, you may still need a bit greasier moisturizer over your gel). Flaxseed is packed with omega 3 fatty acids. Omega 3 acids have healing properties and they are great moisturizers. This seed has anti-inflammatory and soothing effects to the skin. It helps calm rashes and irritated skin. Flaxseed gel improves the texture and elasticity of your skin. It is high in antioxidants. This flaxseed quality, together with its healing properties and high amounts of omega 3 acids, makes flaxseed one of the best anti-aging ingredients you can find. Flaxseed gel hydrates the skin without making it greasy, which helps control oily skin and acne. Flaxseed contains natural oil that helps treat eczema, psoriasis, dermatitis and rosacea. 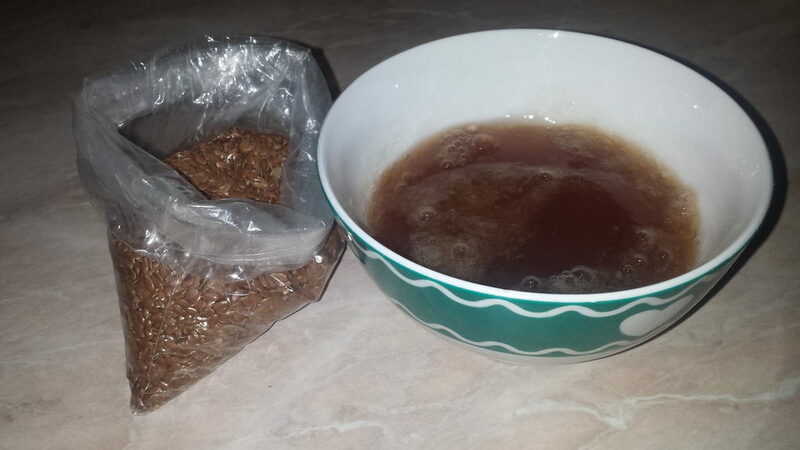 DIY flaxseed gel makes your skin bright and improves the complexion. This gel tightens the skin and smooths out fine lines. Regular usage of flaxseed gel will make your skin firm, soft, glowing, youthful and vibrant. Would you like to make your own DIY flaxseed gel? This flaxseed gel recipe is so simple and easy to follow – in no time you’ll get a great addition to your skincare routine. 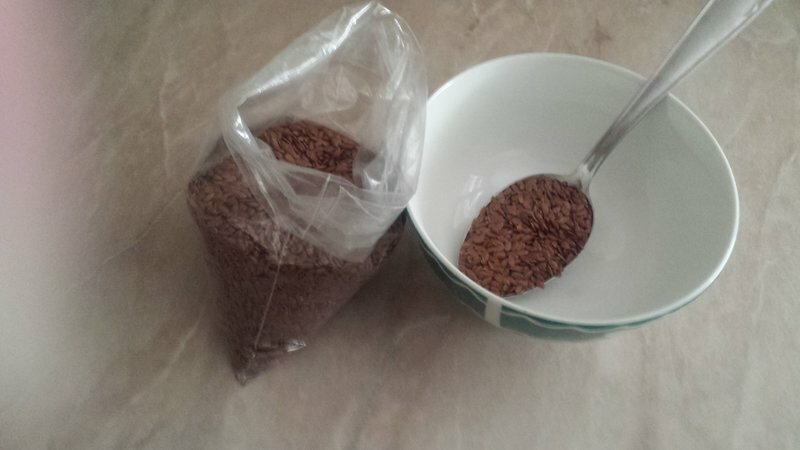 Soak the flaxseed in water overnight. The next day, pour the mixture in a small pot and bring it to boil. Stir occasionally to check the consistency. Your mixture should start to thicken a bit and you’ll get something like mucousy, slightly slimy texture. When it cools down, it will thicken more to a gel form. 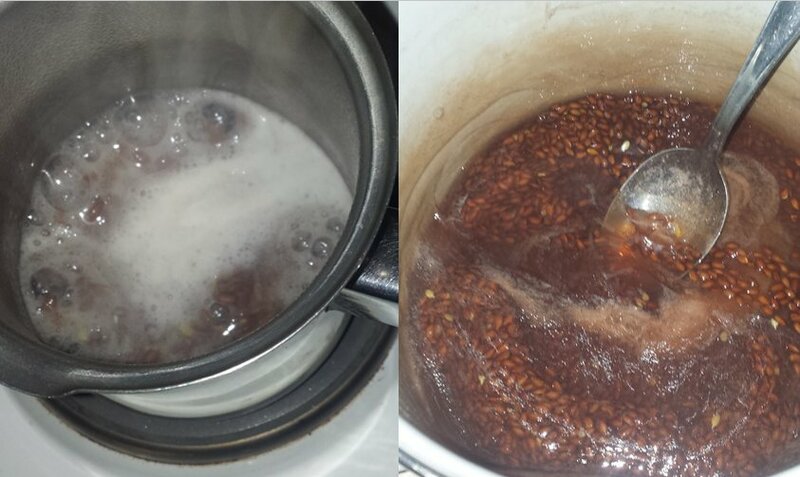 Be careful not to overcook the flaxseed because your gel will be very thick and hard to spread on skin. But you also don’t want to undercook it or it will be too rare and the gel won’t form properly. 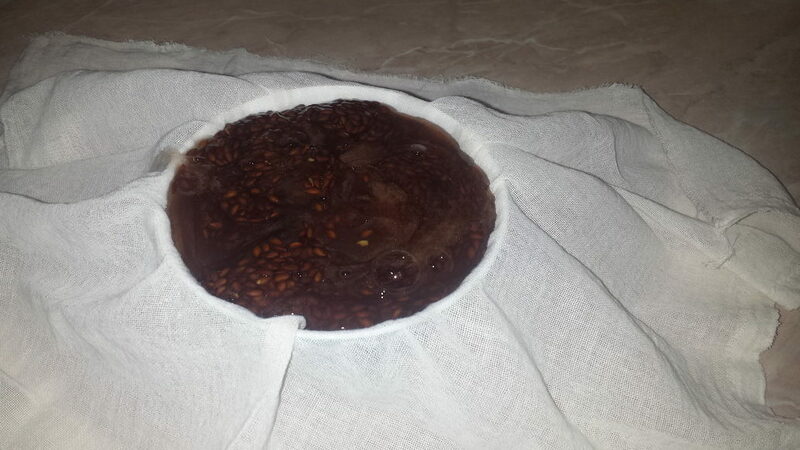 After around 10 minutes of boiling, your DIY flaxseed gel should be done. Let the mixture cool down for around half an hour. Then strain the gel through a clean, thin cotton cloth. And you got your own DIY flaxseed gel! This flaxseed gel recipe is great as it is, but if you want, you can add a teaspoon of aloe vera gel. Aloe vera will bring its own combination of vitamins, minerals and antioxidants, and it will enhance the benefits of DIY flaxseed gel. You can also add a couple of drops of essential oil suitable for your skin type (tea tree oil for acne, vitamin E for aging skin etc.). Just a little way to customize DIY flaxseed gel to your skin needs and help it treat your specific skin problem. Once you’re done, transfer the gel to a clean glass container and store it in your fridge. You can use DIY flaxseed gel stored like this for the next 7 – 10 days, though essential oils can extend its shelf life a little. Use this gel every morning and night. Apply a small amount to a clean face, right before applying your moisturizer. You can also use this gel as a hair pack, on its own or mixed with your hair mask. Some girls use it as a hair gel and eyelash and eyebrow treatment. In a small bowl, mix orange peel powder and flaxseed gel. Mix well until there are no any lumps left and the ingredients are well combined. Apply the mask to a clean face. Leave it on for about 10 minutes – no longer because orange peel contains a high amount of citric acid which might irritate your skin. If your skin is very sensitive, don’t use this mask at all. After 10 minutes, rinse the mask off well and wash your face with a gentle cleanser. Apply your moisturizer while your skin is still slightly damp. You can use this mask once a week. First mix flaxseed gel and kaolin clay. When the two are well combined, add just a little squeeze of lemon juice and mix everything well. Apply the mask to a clean face. Leave it on until it dries, then wash off well. Dab your face lightly with a clean towel, to collect water. Apply a moisturizer immediately, to prevent water from evaporating. This is a very simple to make face mask that instantly brightens your complexion and adds some youthful glow. It is a quick fix for every time your skin looks dull. All you have to do is mix flaxseed gel and matcha green tea powder. Mix well until you get an even consistency. Wash your face. If you have time, you can also exfoliate it with some gentle scrub. Then apply this mask. Leave it on for 10 minutes or until it dries. Wash it off and apply a moisturizer. Sweet almond oil is perfect for dry skin since it is very nourishing and moisturizing. Mix sweet almond oil and flaxseed gel in a small bowl. Oil and gel (water) don’t mix well and will start to separate quickly, so apply the mask as soon as you get your mixture well combined. You can either use a thicker layer as a face mask, or apply a thin layer and leave it overnight. Both shea butter and flaxseed gel are often used to treat eczema, rashes and very irritated skin. This treatment will soothe your skin, reduce redness and itching and help your skin to heal. Melt the shea butter and remove it from the heat. Add flaxseed gel and mix until they are well combined. Apply immediately to the affected areas and just leave it until your skin absorbs it. Colloidal oatmeal is very good in soothing sensitive skin. It has anti-inflammatory properties and creates a protective film on your skin that helps the skin to stay hydrated. 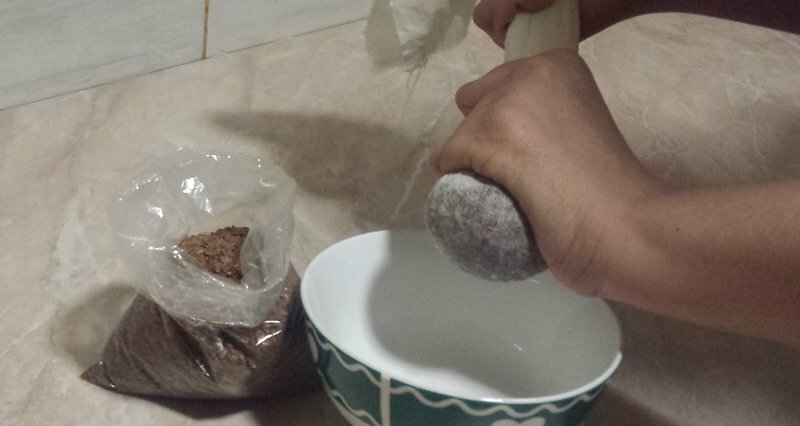 Mix equal amounts of DIY flaxseed gel and colloidal oatmeal. Apply the paste to a clean face. Leave it on until it dries. Rinse off with lukewarm water and apply your face cream. These ingredients have antibacterial and anti-inflammatory properties that can help in dealing with acne. At the same time, they will nourishing your skin and keep it youthful. First mix honey and lemon juice. Add flaxseed gel and mix again. In the end add tea tree oil. When your mixture is well combined, apply it to a clean face and leave it on for 10 – 15 minutes. Rinse it off and apply a lightweight moisturizer. A perfect combination to wipe years off of your face. It will hydrate and moisturize your skin, make it plump and supple and help erase fine lines. You can use it every night, 2 – 3 hours before going to bed. Just mix all the ingredients well. Make a small amount that should last you for 4 – 5 days. Keep it in the fridge in-between uses and shake well before every use. After washing your face, apply a thicker layer of this treatment and massage it into your skin. If your skin absorbs it quickly, you can add another layer. If, at your sleeping time, there’s still a lot of it left on your skin, just wipe it off with a clean tissue. No need to rinse off, just apply your night moisturizer. This amazing DIY face mask is very hydrating and nourishing. It will make your skin bright and glowing, firm, youthful and beautiful. Mash a strawberry. 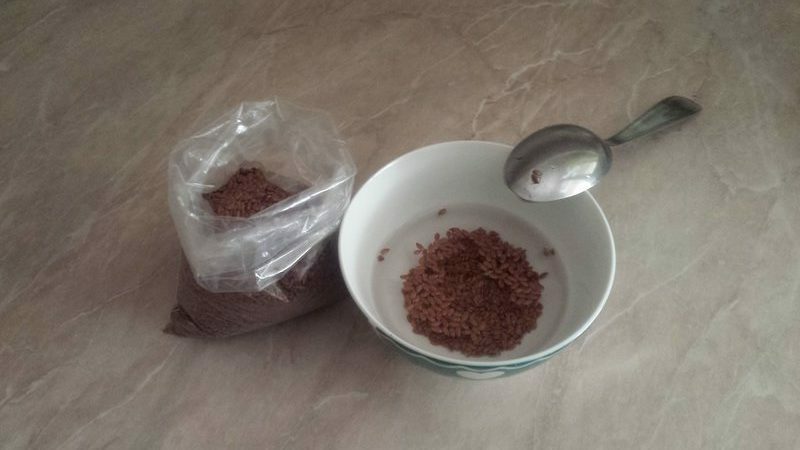 Add 1 tablespoon of DIY flaxseed gel and mix well. Then add rice flour – just enough to get the consistency that you like. Wash your face and apply the mask while your skin is still slightly damp. When the mask starts to dry, rinse it off well and apply a moisturizer. Yogurt contains high amounts of lactic acid, which exfoliates your skin and gives you a nice, bright complexion. Plus, yogurt moisturizes the skin and tightens large pores. In a small bowl, mix both ingredients well until you get an even, smooth looking paste. Apply the mask to a clean face. Massage it into your skin for about 5 minutes, then leave it on for 5 more minutes. Wash the mask off using a gentle cleanser and lukewarm water and apply your moisturizer right away.